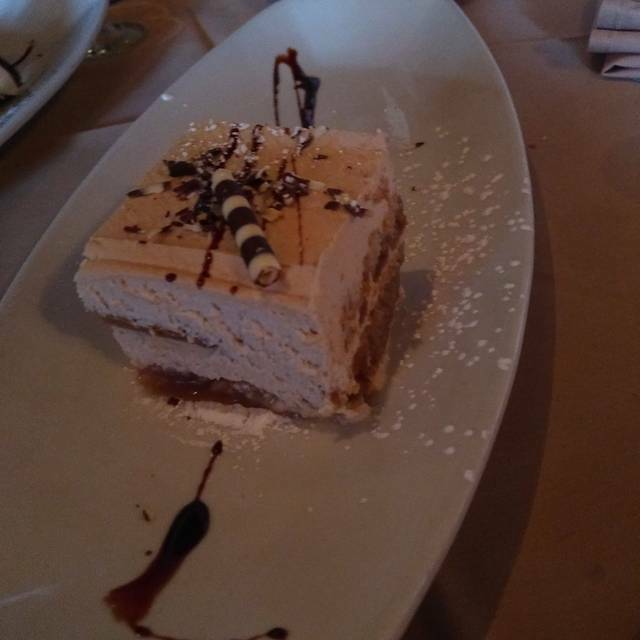 You must make reservations at least 5 minutes in advance of the time at Montalcino Ristorante Italiano. At Montalcino Ristorante Italiano fine food and wine are a way of life. All dishes are prepared with passion and tradition, using only the freshest, highest quality real Italian ingredients. Charismatic Italian family ownership brings a classic atmosphere to the restaurant where everyone is part of the family. A quality menu with many family receipts and a top unique wine list including wines produced by the family creates a perfect dining experience. 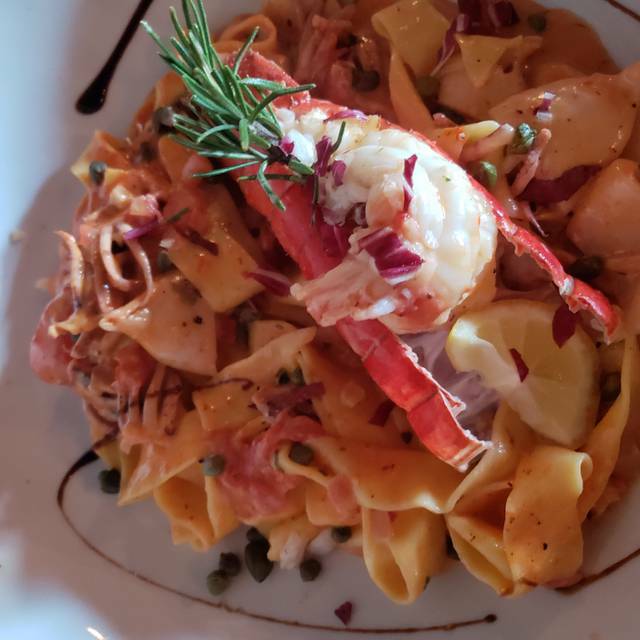 Unique and intimate dining experience with the most delicious pasta, filet, and lobster with cognac sauce. The ONLY Italian restaurant we will go to! Best Italian in Seattle! Have been coming here for a few years. Love this place! Highly recommend. I’ve been twice. Very nice quiet amazing service and authentic food. This is the place to go for a special night to enjoy great food, music and a glass of wine! I'll go back because the food and service are excellent. But the wandering guitarist/singer was a bit annoying. When he sings, it makes conversation impossible. Its a small restaurant. A single guitar would be fine, but his boisterous singing of Italian ballads just ruined the ambiance. Tone him down please. We always enjoy Montalcino. Service is excellent . This time we ordered our favorite dish, Wild Boar sauce with pasta. While it was very nice, the recipe has obviously changed and, to our taste, not as wonderful as it was before. The food is amazing and service is good. If you plan to have dinner, please know you will be rushed. We certainly were! Fell in love all over again...with this restaurant! I fear giving such rave reviews as it’s already a challenge to get reservations but we absolutely love this place and this visit was our best yet! We've been a few times before this, but last night they really sealed this place as one of our favorite places to go. Made a reservation online using Open Table and mentioned it was our anniversary. When we arrived, the table was set with rose petals and lovely red flutes. We promptly got a pour of Prosecco and a happy anniversary wish. It made the evening very special for us. Thank you for the little touch. We appreciate it very much! The food was incredible, as always. 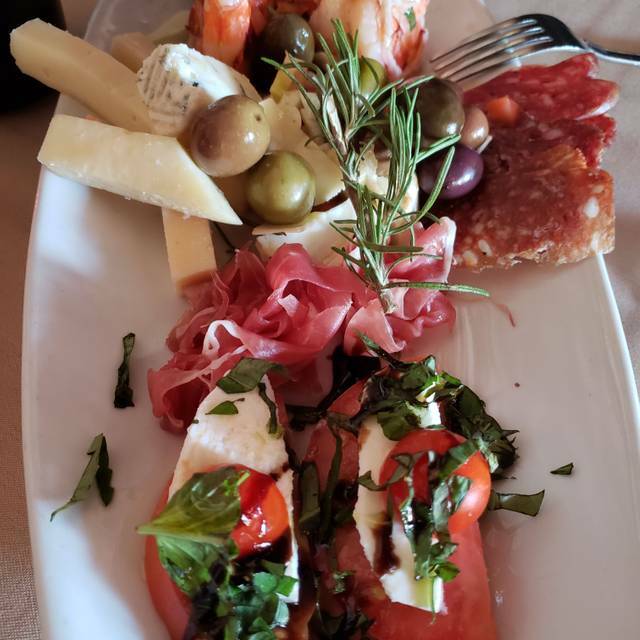 Wonderful Italian food--some of the best we've had outside Italy. Attentive wait staff; a live singer; excellent wine; quiet enough for conversation (or not); what's not to love? We had a fabulous dinner. My braised short ribs tortalino was absolutely divine. Our Caesar salads were delicious, although my husband wished for more dressing. Service was impeccable. We will definelty recommend Montalcino to our friends. Thanks for a wonderful meal and evening! 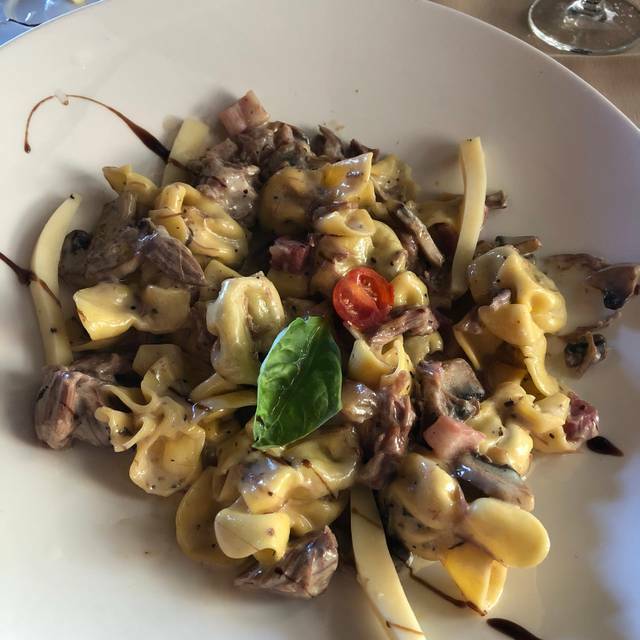 Montalcino has wonderful food in a romantic setting. 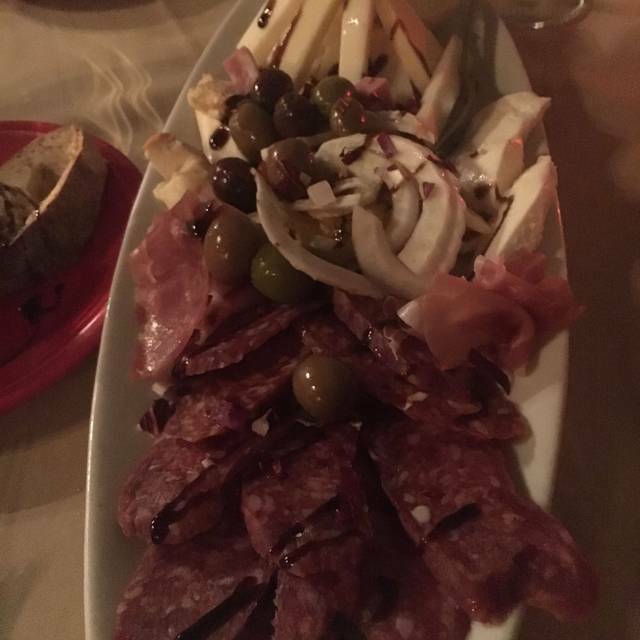 I recommend the Salumi Fromaggi plate to start. It is big and easy to share. The linguine Vongole is delicious. Be aware I t has a little kick if you don’t like spicy food. My husband had the ravioli special and said it was gorgeous. 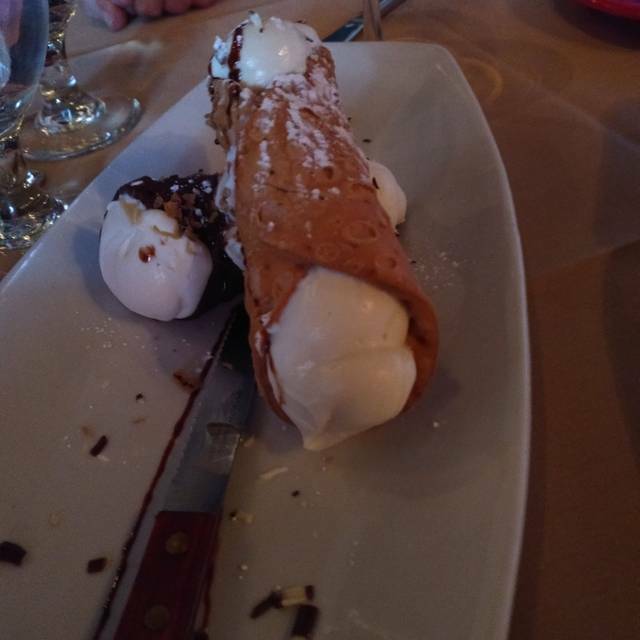 Desert wise you can’t go wrong with the tiramisu or canoli. Like they picked the place up from a cobblestoned walkway in a Tuscan village and trasnplanted it in Issaquah. As close to the genuine articule as we have experienced on the east side. Tiny, romantic, warm. "Worth it" in every way. 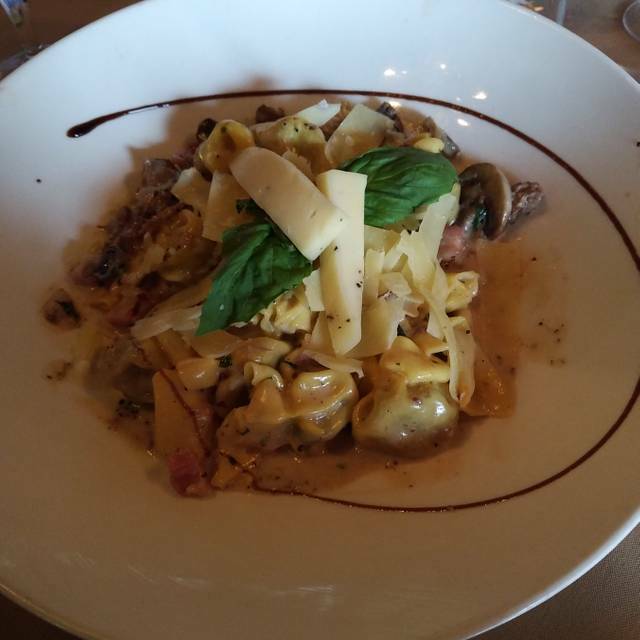 Montalcino has always been one of our favorite restaurants in Issaquah however lately we've been a bit disappointed. Last week we were there for dinner with a 7:15 reservation and we were done with our dinner by 8:00 pm. Although the restaurant was busy I didn't see any reason that our meal was rushed. We ordered an appetizer and had barely finished when our mains arrived. Although we didn't want to be lingering for a long time it's also annoying to be rushed through your meal, especially at this price-point. The food quality is still good and the service was pleasant. It's just not the same experience dining there that we've always had in the past. Sorry to hear about your experience most recent experience at Montalcino. I did came over to your table offered to redo mains . 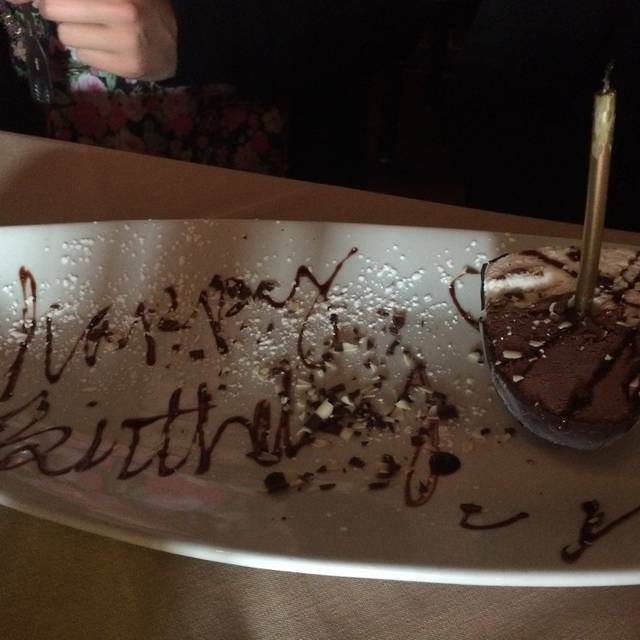 It’s was a uncharacteristic misunderstanding between my mother our Chef and our server. Apologies again - this is not typical of our servicing procedures. We are committed to all customer experience at Montalcino. Memorable! Great food and service. Can’t wait to go back. I love this restaurant, the food is absolutely amazing and the staff are wonderful! The food is really great! I love the daily specials - they always describe as something "Mama" has slaved over all day. Restaurant is so tiny and tight but it is unique and personal so we'll return. Also expensive so it may have to be only for special occasions! This restaurant is always outstanding!! Food, service, entertainment were all quite spectacular. We will certainly be heading there again in the near future. Fantastic. Food and atmosphere was amazing. Simplicity, elegance ... superb experience. An absolute Seattle area gem. It was excellent as always. 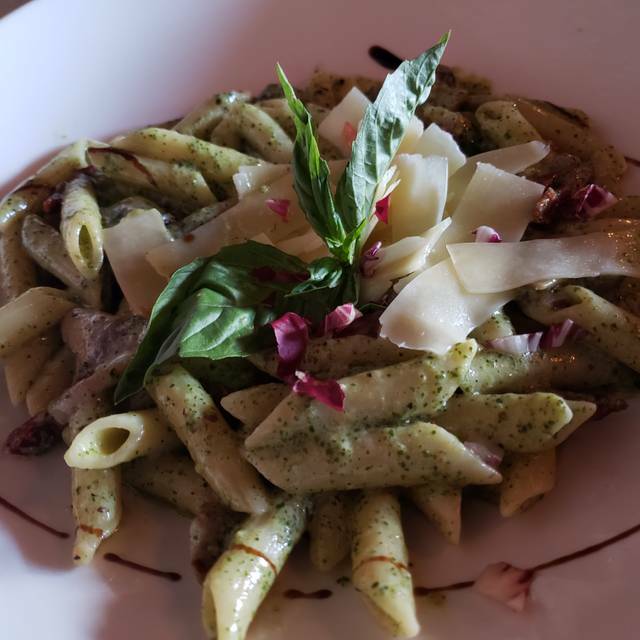 This is our favorite spot for Italian food. Delicious food, wonderful service, great atmosphere. What an amazing place. The food was outstanding. The servers were awesome. And they had a guy singing Italian love songs going from table to table. I can’t say enough good things about Montalcino. We will definitely be back. My only complaint - it’s so small it’s hard to get a reservation! Excellent meal. Everyone liked the variety of the menu, which addressed everyone’s dietary requirement. Made the birthday celebration extra special. A hidden gem, family run, classy but informal, European feel. Love this place, Always outstanding food & service. Flavors make your taste buds squeal with delight. Highly recommend!! Our fave Seattle area restaurant! Intimate, romantic and Tony Stella’s guitar and singing brings a great ambience to food that does not disappoint! Giovanni was an excellent host! The food was absolutely phenomenal. I recommend the veal for the table, it was mouth watering and falling off the bone. Best dining experience in a long time! Wonderful family run restaurant with exceptional food!